"Operation Who's-Your-Daddy - the top mission is finding dad." 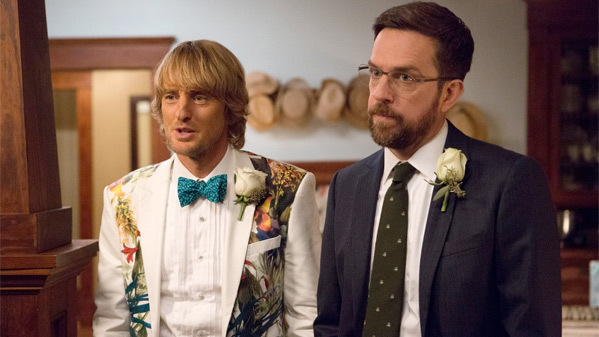 Warner Bros has debuted a new trailer for the comedy titled Father Figures, formerly known Bastards, starring Owen Wilson and Ed Helms as fraternal twin brothers who go on a search for their father when their mother reveals she doesn't know who he really is. This was actually set to be released in January, but the studio pulled it and delayed it all the way until Christmas this year, giving it a new title in the meantime. Unfortunately it still doesn't look any better. Also starring Katie Aselton, J.K. Simmons, Terry Bradshaw, Glenn Close, Ving Rhames, Ryan Cartwright, Katt Williams, Retta and Bill Irwin. Not really worth a watch, but have a look if you wish. You can still watch the original trailer for Bastards here, to see footage from last year's marketing. Upon learning that their mother has been lying to them for years about their allegedly deceased father, two fraternal twin brothers (Owen Wilson & Ed Helms) hit the road in order to find him. Father Figures is directed by cinematographer-turned-director Lawrence Sher, making his feature directorial debut. His work as a director of photography includes comedies like Club Dread, Dan in Real Life, The Hangover, Due Date, The Dictator and War Dogs. The script is by Justin Malen (Office Christmas Party). Warner Bros will release Father Figures in theaters everywhere December 22nd, 2017 this fall. Is anyone still interested?